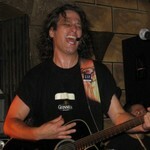 Sign up for Broadjam today to follow Patrick Fleming, and be notified when they upload new stuff or update their news! 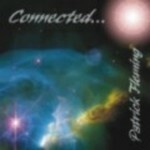 With "Connected…", Patrick shows that he can write anything from the pop rock "One Too Many Mondays", laden with instantly memorized musical and lyrical hooks (A song about going to work on Monday after a weekend of partying), to the modern rock "Ignorance" (A song stating that once you've loved and lost, ignorance is bliss). He also shows the deeper side of his writing with the alternative rock "Connected…" (A song about how we are all connected with this earth and universe) and the cosmically acoustic "God's Laboratory" ("Has God lost interest in his childhood ant-farm?…"). 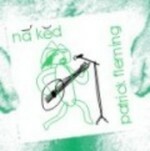 Also, with the solid sarcastic power pop of "I May Be An Angel", "Flavor of the Day", "You're Killing Me" and "Goodbye" Patrick shows he can definitely make "tongue in cheek" lyrics work to his advantage and put a smile on your face. You know what he's talking about. Add to this the ability to write solid ballads like "Sometimes" alongside the industrial-esque "Lead Me Down" and you find that you are dealing with a multileveled, multi-faceted singer/songwriter. 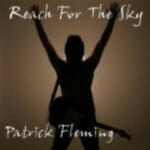 Words And Music By Patrick Fleming, Jr. I?ve seen One Too Many Mondays? Someone said that I said ?never again? Could you keep it down - Don?t be so loud? (c) 2000 By Patrick Fleming, Jr.